Today we will look at the Squeeze and Feed Frogs. Squeeze and Feed Frogs are rounded, pliable frog faces that open their mouths when squeezed to “gobble” foam bugs. The resistance provided when squeezed is excellent for the development of hand and grip strength, and manipulation of the small bugs assists with finger dexterity and in-hand manipulation skills. 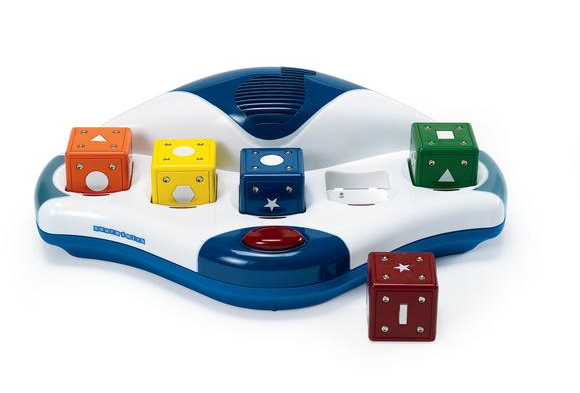 The set comes with both a number die and a color die for ease of grading the activity to children of various ages. 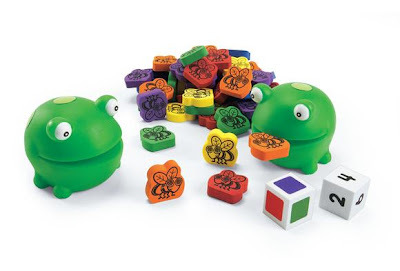 The dice also provide the opportunity for social play as Squeeze and Feed Frogs can be used as a game. The bugs and the frogs are both visually appealing which increases the motivational component of the game. · The simplest activity is to have the child squeeze the frog and place the bugs inside the mouth with their other hand. Have the child place his/her thumb on one side of the frog’s mouth with the other four fingers on the opposite side forming a cupping of the palm when squeezing. To increase the challenge, have the child try to pick up the bugs using only the frog and not their other hand. · Play a game using the die. For younger children, use the color die and have them race to get as many of the colors as they can into the frog’s mouth. For school-aged children, have them use the number die for number recognition. To increase the challenge, have the child use both dice and see if they can pick up the correct of number of the correct color. 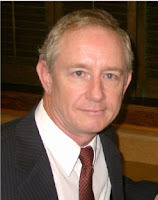 · Develop social skills. Have the child use the frogs for conversations. Have the child make the frog talk by squeezing and releasing the mouth. In a small group with two children, or a simple 1:1 adult/child situation, the frogs can have a conversation with each other. · To develop bilateral integration skills, use one frog to pick up a bug and have it feed the bug to other frog. For more information about the Squeeze and Feed Frogs and other great items please visit http://www.achievement-products.com.